Insider IncInsider Inc. executive producer Tony Manfred. 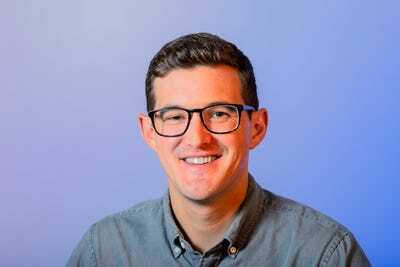 As the head of video at Insider Inc, the parent company of Business Insider and its general-interest sibling INSIDER, I oversee a team whose mission is to inform, inspire, and entertain our audience through video storytelling. 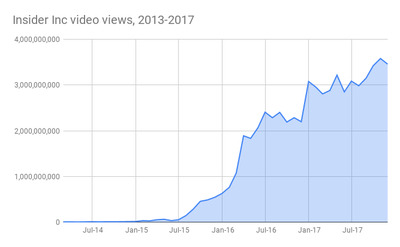 A simple metric we use to determine if we’re accomplishing our mission is the number of video views. It’s a solid and easy way to measure whether our stories are resonating with our audience. But what is a “view” really? Until now, we’ve said a view is whatever a platform tells us a view is. A view on YouTube is 30 seconds, a view on Facebook is 3 seconds, and so on. Starting today, however, we’re going to measure views differently. We’re going to move away from 3-second views and look only at 30-second views. In 2015, we made a bet on distributed video by launching a new brand, INSIDER. Instead of publishing video only on a website and using social platforms to entice viewers back to that site, INSIDER published video directly to the places where people spend their time online – on Facebook, YouTube, Twitter, Snapchat, MSN, and so forth. It sounds obvious now, but this was pretty cutting-edge at the time. This strategy allowed us, and a few other video publishers, to achieve massive scale quickly. A new kind of video storytelling emerged: social video. These videos weren’t just TV clips or web videos posted to places like Facebook, but a fundamentally different sort of video: short, sound-optional, visually arresting, and designed to succeed in social feeds. And users loved them. As billions of views piled up, our storytelling evolved. We increased the length of our videos from 45 seconds to 90 seconds, and then to more than 3 minutes. Through a great deal of experimentation, we learned a lot. This isn’t just an accounting challenge. There are crucial differences in the behaviours that 2-second, 3-second, and 30-second views measure. We want our viewers to do more than just stop on our videos. We want them to watch them all the way through and, ideally, to come back for more every day or every week. 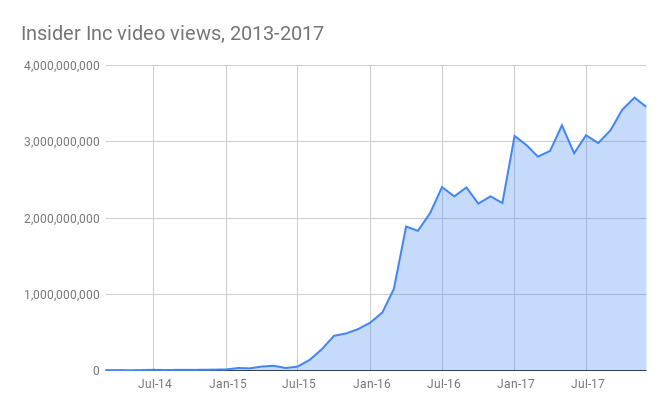 To better focus our attention on creating videos that create deeper engagement, we decided on a more useful way to measure views. We want to measure 30-second views because it’s a metric that aligns with what we want to make: great videos that people find meaningful. Thirty seconds is a long time on the internet. If someone stops and watches an Insider Inc. video for 30 seconds, that’s a strong indicator we’re doing our job well. While we still want video that stands out in social feeds, we’ve started focusing much more on audience loyalty and retentive viewing. 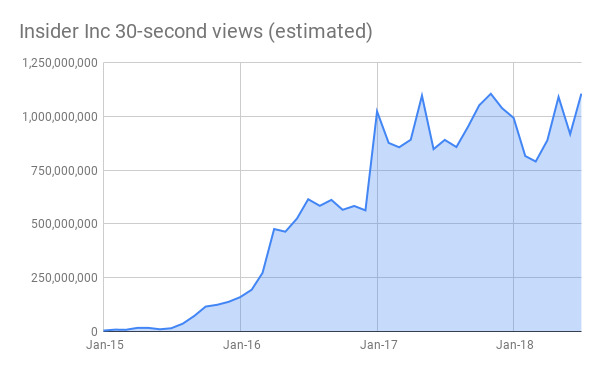 As a result, our average view duration on YouTube has increased by 70% this year. We realised that a big driver of these is longer-form storytelling. We also believe the industry as a whole would benefit from a definition of a view that’s more standardised, wherever possible. Obviously different platforms have different kinds of engagement, so there may always be a need for some flexibility here. What are some obstacles to embracing 30 seconds as our standard video metric? For one, most platforms don’t give us access to 30-second views data. We hope that will change, but we’ll just have to find creative view equivalents until then. 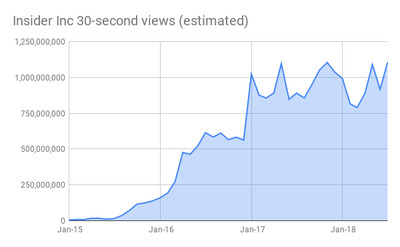 Moving to 30-second views will force us to say goodbye to the gigantic monthly view numbers we’ve been bragging about for years (while also explaining to clients and partners what it means for them). But as we move forward, we suspect other publishers will follow suit. And perhaps the industry overall will get closer to a more unified way of measuring digital-native video in an industry increasingly relying on this exciting and still new medium. Meanwhile, this summer, Insider Inc. hit 1 billion monthly 30-second views across all platforms. That’s 1 billion hearty, grass-fed, honest-to-goodness views each month. advertising digital media insider inc.